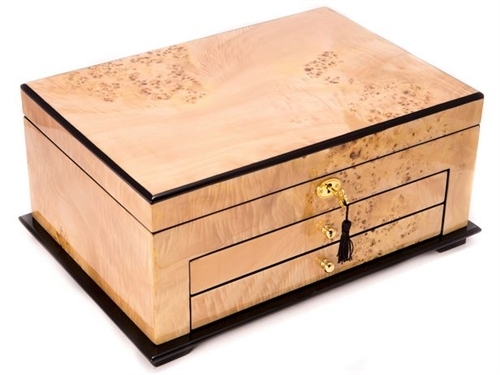 Maple Lacquered Wood, 3 Level Jewelry Box with Gold Accents and Locking Lid with Mirror. 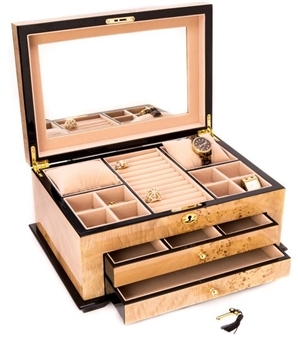 2 Drawers, Slots for Rings, Pillows for Watches or Bracelets, Soft Velour Lining and Fully-Lined. Beautiful Maple Finish! 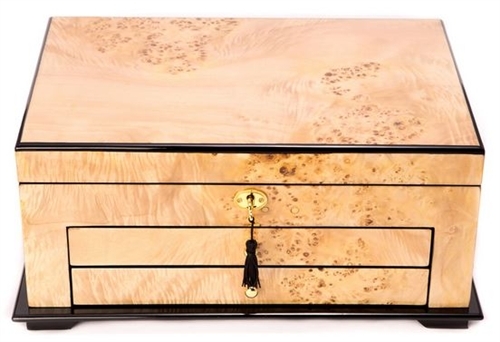 Beautiful burl wood. Plenty of storage. Quality jewelry box. This box was a Valentine gift for my daughter and she loves it! I bought it hoping it would be an heirloom piece. It just might be!